5 Day Post Holiday Juice Cleanse! Even the healthiest and most well intentioned of us can get derailed during the holiday season. Parties to attend, dinners to go to, celebrations, which include food and drink, are everywhere. Now that we have made it to 2015 it’s time to reset and get back on track. One fantastic and easy way to do that is with a juice fast. Having had such fantastic results, I had a multitude of people asking me for directions. Here they are! Drink (2) – 8oz glasses of water with lemon or lime added for extra detoxification. 3. After each juice, drink 16oz. of water or more. By “juice” I am referring to fresh juices made of vegetables and fruits with spices added in if you choose. (Turmeric and Ginger are two great choices). Please do not do a juice fast with store bought juices. They are not fresh and are often depleted of vitamins, minerals, and have additives as well as sugar, high fructose corn syrup, and even artificial sweeteners, which are all toxic. *Please, if at all possible, use organic non-gmo fruits and veggies. When a juice reads “natural flavors” – it can be made from just about anything – including MSG and or artificial sweeteners. This will only serve to add in more toxins and defeat the purpose of the cleanse and sabotage your results! It is easiest to make or buy all of the juices in the morning so you don’t have to run out to get anything. Having everything prepared helps to keep you motivated and quell the urge to cheat. 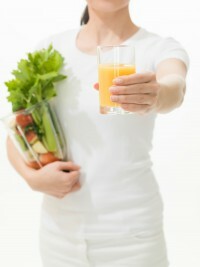 I have found that juicing yourself is not any less cost than having the fruits and veggies juiced for you. If you have a Whole Foods or Organic market with a juice bar it really can save time and mess to clean up with out additional cost. The first day is always the hardest. We are used to the routine of eating breakfast, lunch, dinner and sometimes snacks. Keeping yourself busy seems to be key in success, at least for myself. Juicing is an amazingly powerful way to clear and clean your body.This article lists very accurately the cleansing phases and what your body goes through as the cleanse progresses. By only 1:30pm I was already experiencing detoxification symptoms. My face was hot and flushed and I felt a bit teary eyed and a little dizzy. I slept for 11 hours that evening. As your body clears itself out, rest is needed. I was still very teary eyed, sniffly, and blah feeling. Again I needed more sleep than usual. I clocked in 10 hours of pillow time. On the third day of detoxification I will be honest. I felt awful. It’s like having a major head cold. My tongue was coated white and even a tongue scraper would not get it all off. Though I am glad I chose to do this for my health, it was difficult to go through. I will say though – I was not hungry at all during these first days. I missed food on a habitual and psychological level only. By day 4 I was feeling better than the previous day, but I was still experiencing some detox symptoms: slight headache & watery eyes. My answer is that feeling like this now and allowing my body to clean itself out on a cellular level will prevent sickness and disease. To me, it is very worth the inconvenience. By day 5 I was still experiencing some detox symptoms so I decided to continue the cleanse, modified. I am juicing during the day and at night eating a big organic salad. From there I will merge into eating all organic again including as much raw food as possible. You would never run your car endlessly without the maintenance of a good oil change once in a while, so why do that to your body? Our bodies are intended to be self cleaning (as is the argument I hear often). I agree, however, they were not designed to deal with an an endless array of toxins in our food, air and being put on our bodies in varying ways. The majority of us are on toxic overload….. It can lead to feeling run down, ill and ultimately disease or death. I highly recommend juice fasting once in a while! Your body will thank you!